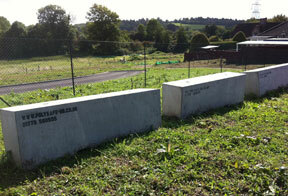 Protecting vacant property or land is probably the most common use for concrete barriers, they provide security and a quick, simple and cost effective solution. The cost of evicting trespassers from your vacant land or vacant property can be huge – in both time and money. And then there is the cost of clearing up any fly-tipping, let alone repairing the damage that they will have inevitably left behind. 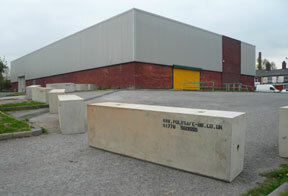 A row of Polysafe concrete barriers acts as an effective deterrent for vehicle access – their sheer presence will make most potential criminals move on to invade another piece of land. Similarly, creating a concrete barricade with barriers either side of an access such as a gate will help secure your property.